Dear Debbie and Friends Fan Families! The band and I want to wish you all a very happy and healthy 2015! We hope to see you at one of our upcoming shows this year. Until then, here are a few ways to keep in touch! Please visit our web site for our show schedule and to purchase CDS, etc. 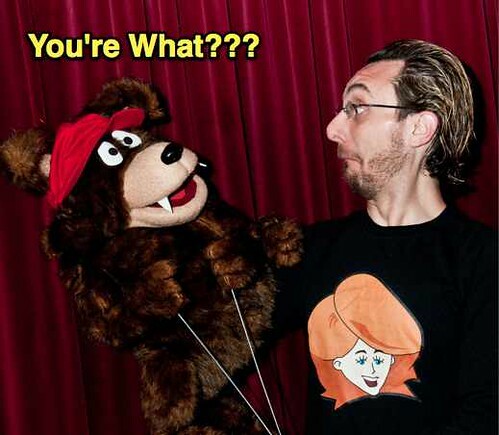 And, be sure to subscribe to our ever growing YouTube channel where you will find all kinds of fun, original cartoon music videos. 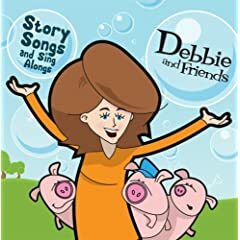 Finally, for iPhone and iPad users, please download our free Debbie and Friends app for ours of sing-along, watch-along fun! 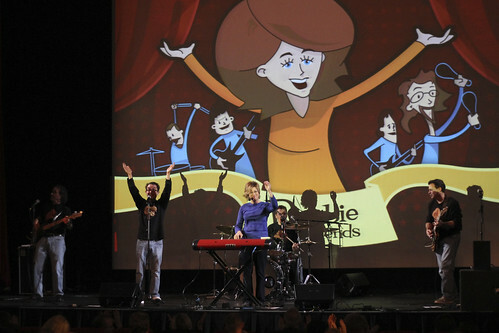 Thank you for being part of Debbie and Friends! Kids Can Be A Cartoon Pirate Contest! Enter NOW! • Include your name, address, and phone number. Please also include your child’s name and age. • Emails must be received by April 21, 11:59 p.m. You need only email us once. • We have room for three pirates on the ship. The captain will draw three names out of his hat and the selected winners will be notified via email on April 22. • Parents/Guardians of the three entries selected will need to sign a consent form and provide a photograph so that our ship’s animator can turn the photo into a cartoon pirate! We were on the Radio! Listen to the Podcast. WE’RE ON THE RADIO! 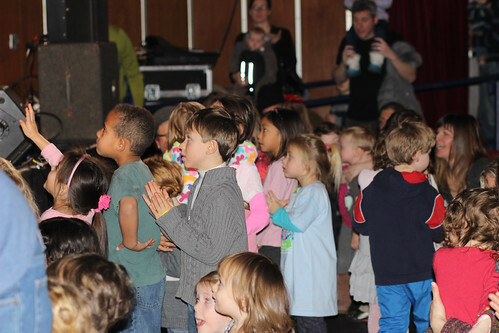 Tune in to the Hilltown Family Variety Show on Saturday, March 22, from 9-10am for an hour of commercial-free family programming on 103.3FM WXOJ, Northampton, MA. Mike and I are the hosts and we’ve selected the music. Encore will broadcast on Sunday, March 23 from 7-8am. Listen live via streaming audio at www.ValleyFreeRadio.org, or anytime to our podcast at www.HilltownFamilies.org immediately following Sunday’s broadcast! Mike’s getting married this weekend, everyone! (He forgot to tell the Wolf!) Congratulations to Mike and Samantha! The latest Debbie and Friends creation is a new story song based on the classic tale of “Snow White.” This new production has it all from Classic Disco to New Orleans-style music. It also has two very special guests vocalists: Grammy-winning kids/family artist, Bill Harley and Berklee College of Music’s Associate Professor of Voice, Kudisan Kai. A great big thank you to all of the families who came out to support our SOLD OUT benefit concert for the Sandy Hook School Fund. 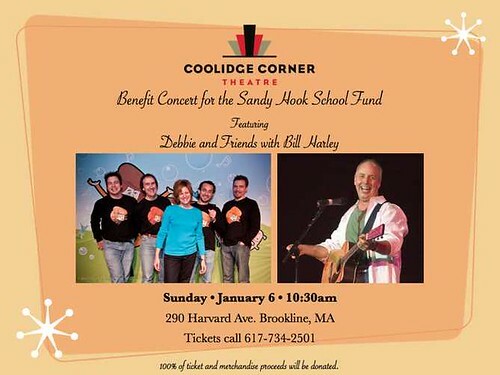 The Coolidge Corner Theatre holds 440 seats and they were filled with kids and families all there to make music with Debbie and Friends, Bill Harley, and Vanessa Trien. 100% of the $3280 ticket sales and $200 merchandise sales will be donated to the United Way’s Sandy Hook School Fund. Here’s a link to more pictures from the show. ALL proceeds from this show (including tickets and merchandise) will benefit the Sandy Hook School Support Fund, which has been set up by the United Way to provide support services to the families and community affected by recent events in Newtown, Connecticut. 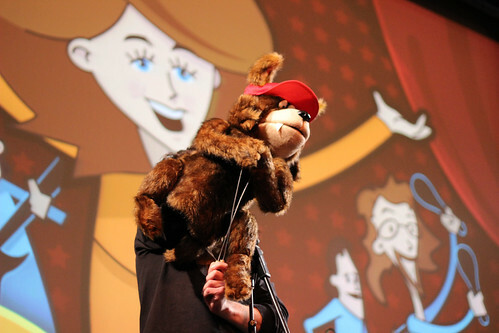 In addition, we encourage the families who attend the show to bring cards, letters, drawings, stuffed animals, etc. so Debbie can send them in a care package to the children at the Sandy Hook School the day after the show. Two-time Grammy award-winner, Bill Harley, will make a special guest appearance. I’m happy to share a behind-the-scenes look at our production rough of “Pinocchio” by Debbie and Friends. The audio is a rough demo and the visual is a storyboard. The final version will be a late summer release. We’ll keep you posted along the way! All of us at Debbie and Friends are so proud of the Wolf and other kindie artist’s puppets who contributed their time and talents to a very special cause. 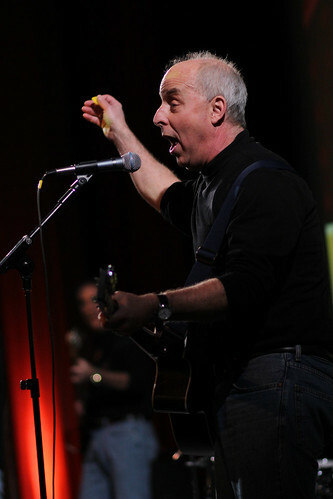 See “Felt Around the World” and download the song to benefit St. Jude Children’s Research Hospital. Thank you Stefan Shepherd of Zooglobble and Jack Forman from Recess Monkey for your great work on the song and video production! More information about Hand Aid can be found here. I’m so happy to tell you that the CD we have a song on, All About Bullies…Big and Small has won the 2011 Grammy for Best Children’s Album. We are beyond excited! We’re grateful to share this amazing honor with so many artists who donated their songs/tracks to address this important issue. Thank you to Steve Pullara and all of the producers of this CD for including Debbie and Friends in this compilation! Here’s a link to our song that is part of this Grammy award-winning collection, “Walk Away”!